Directions: From I-95 N, take Exit 3 To Portsmouth. In 1.2 mile, bear Right onto South St. In another 0.9 mile, turn Left onto Junkins Ave. In 0.3 mile, Parrott Ave will be on your left and the entrance will be an immediate right. If the lot is full, the South Playground Lot is just south on Junkins Ave or park in the Citizens Bank Lot next to the Parrott Lot off of Pleasant St. The bank is closed on Sundays so is safe. Description: This is a CUE SHEET or GPS only ride, no NSC arrows. 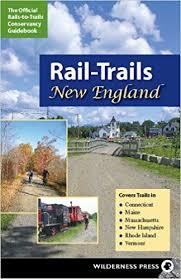 The routes are very scenic with many seacoast vistas. The northern routes to Nubble Light and Ogunquit have many arrows taking you there by other ride leaders so it is essentially arrowed going up the coast. The southern returns use inland roads that are easy to follow but require using cue sheets or a GPS. The 29 mile route goes through Kittery, York, and to Nubble Lighthouse. The 43 Mile route adds Ogunquit. Lunch has so many possibilities of course but we might suggest Geno’s on Mechanic St,, the Rusty Hammer on State St, or Warren’s over the Memorial Bridge in Kittery. All have great lobster rolls! 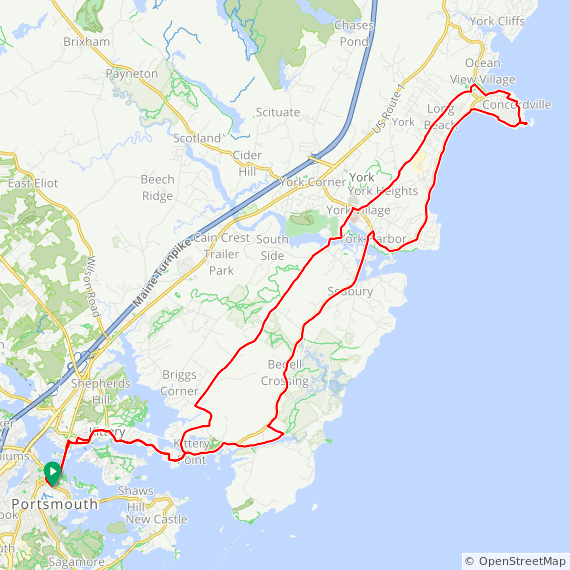 Splits: The 29 and 43 mile routes split after Nubble Lighthouse at the Rt 1A rotary. 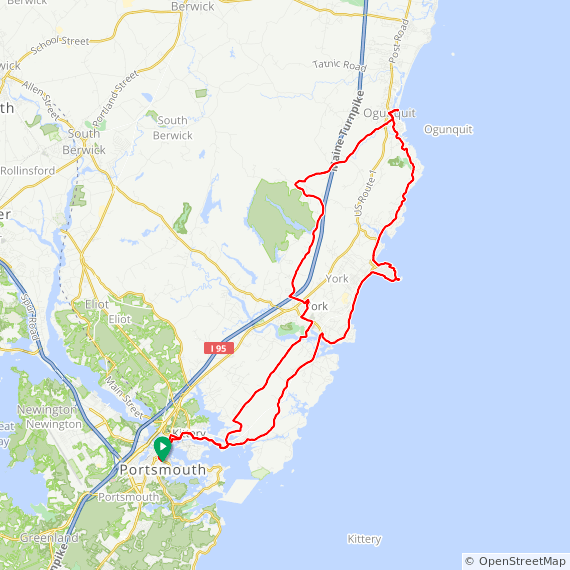 You could take 1A North to Shore Rd for a while and just turn back to add a few miles to the 29 mile route if you want. Cape Neddick Harbor is less than a mile from the rotary. This ride was created by Jimmy White.